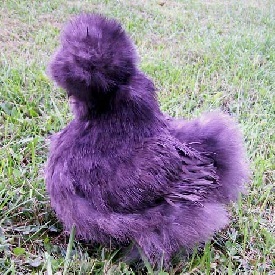 The Silkie or silky chicken, is a breed of chicken named for its unusual shape and fluffy plumage, which is said to touch is so soft and fine as silk. 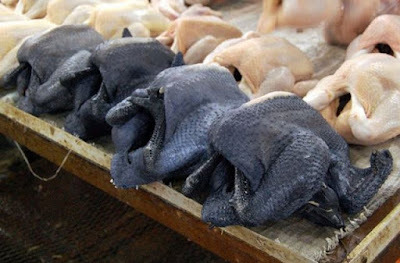 This breed of chicken has several other unusual qualities, like a black skin (of course is not because their feathers cover it), another peculiarity is that the earlobes are blue (where is the skin color? !!) And five fingers on each leg, while most chickens have only four. Given its peculiar anatomy, often exhibited in poultry shows, showing the different colors or styles. 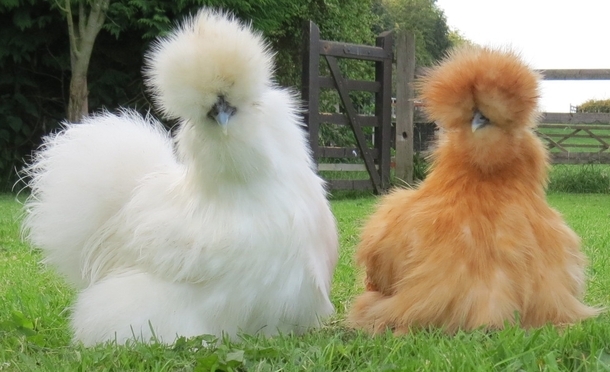 Besides its distinctive physical characteristics, Silkies are known for their calm, friendly temperament. It is the bird more docile of all poultry and could be considered as a good pet. Chickens are also exceptionally broody (lay many eggs) are good mothers. It lays about three eggs a week, and is used as hen eggs encuba other breeds of other species of bird. Usually a bit smaller than those found in other continents. Sure, I did not say that their place of origin, although it is a bit uncertain, seems to be East Asia. And Marco Polo spoke of a hairy hen and China called something like the "chicken floss." Food is similar to that of other poultry, omnivorous that gleaning their food scraping the ground with their legs 5 finger. Because here they eat the chickens, in East Asia, also eat the Silkies. But it is noteworthy that their meat, skin and even his bones have a dark hue, something that we would be really strange to us.